The National Audit of Dementia (care in general hospitals) (NAD) examines aspects of care received by people with dementia in general hospitals in England and Wales. In addition, NAD provides national and local reports to support hospitals to identify areas for quality improvement and share good practice, helping to improve outcomes for patients. NAD has carried out three rounds of audit, reporting in 2011, 2013 and 2017. 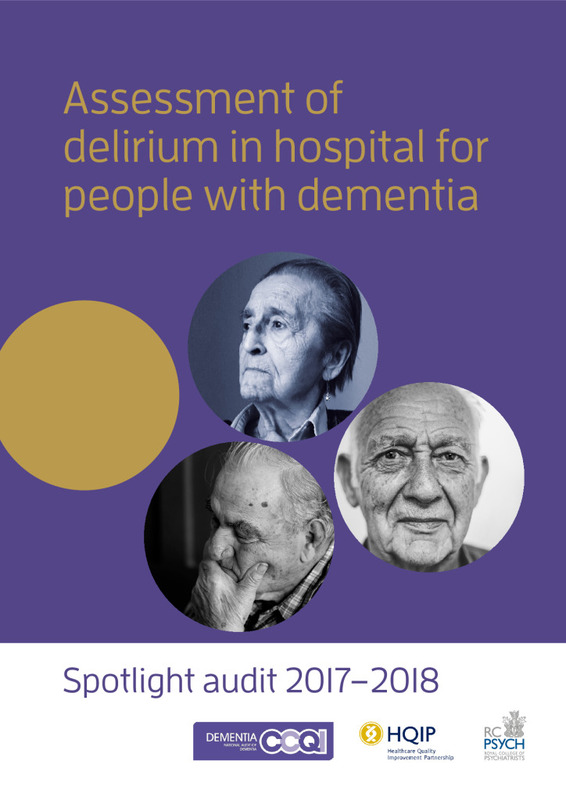 This spotlight audit on delirium has been carried out to look in more detail at an area where hospitals have seemed to be underperforming and to clarify inconsistencies in the data. people who regulate care – including the Care Quality Commission, clinical audit and quality improvement professionals. Data for this round of audit were collected between September and November 2017. A high proportion of patients with dementia admitted as emergencies to hospital did not receive an initial assessment for delirium, even after adjustment.